Kansas State lucked out a little bit in the off season and didn’t get tackled by the ginormous amount of rule breaking and scandal that hit the rest of college sports. Well, maybe just a bit. More on that later. The biggest news was the farewell to Daniel Thomas and his drafting to the NFL’s Miami Dolphins. How would Kansas State rebound from such production? There are a couple of different components that will factor into the rebound, although they really didn’t take a step back. They did make a bowl game, which was better than 2009. At any rate, the first component is quarterback. JUCO transfer Justin Tuggle and underclassmen Samuel Lamur made it a great fight, but Collin Klein will be the man this year. It makes sense. Carson Coffman started the Pinstripe Bowl, but for me Klein was the real man for the team. He didn’t have the touch on passing but boy could that kid run. He made option with D-Train a thing of beauty. Rumor has it he’s been focusing on passing more in the off season and he will need it too. The defense comes back just a little big stronger. The defensive backs feature co-defensive MVP Ty Zimmerman, San Jose State Transfer Tanner Burns, and a group of JUCO transfer. The defensive line was so bad last year they are bound to get better. Linebacker wise they are returning 5 different starting linebackers. They even switched from a 4-2-5 to a 4-3 because they core has improved so much. This brings me to the last component. The Brown brothers. 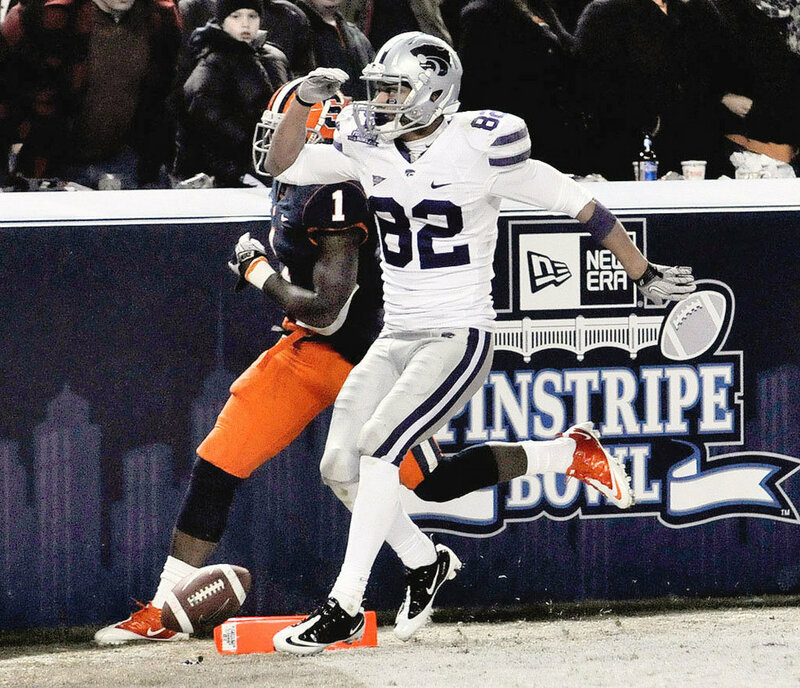 Arthur Brown got out of Miami in time to transfer to Kansas State. The linebacker sat out a year and looked awesome on the practice squad. He’s fit to start this year and there is some big expectation coming from that. Bryce Brown was a number one running back recruit that fell under Lane Kiffin’s spell and went to Tennessee. It fell apart and he transferred closer to his Wichita home and Kansas State. He’s looking to fill some big shoes and there’s alot of hype surrounding. Does it seem like Bill Snyder 2.0 is putting alot of stock into two unproven brothers? It sure does seem so. But these kids came from bad places and if anything, Snyder can over look or treat the bad parts while letting the good ones fly. Also, these are kids that were actually recruited by highly touted football programs. They are not JUCO transfers. That’s a rare thing for Kansas State to have one let alone two. But how will it translate on the football field? I think Kansas State will keep they party line going and go 7-5. They’ll beat Eastern Kentucky and Kent State. With the recent revelations for Miami, I wonder if they still will be able to go down there and escape with a victory. Baylor’s up in the air because they are playing them in Manhattan this year. They aren’t good enough to beat Missouri at home. Texas Tech may be tough but I think Kansas State will be tougher. It’s a no contest mega win over in state rival Kansas. Two losses will follow that playing the state of Oklahoma. I think Texas A&M is coming in over rated so the upset will land on Kansas State (2003 Big 12 Championship anyone?). I’m going out on a limb and continuing the winning streak over Texas. Finally, for Farmageddon, Kansas State will win this one. The question marks will be notched as losses as I may be biting off more than I can chew for some of the wins. What can I say? I’m in Austin now and I want the Wildcats to beat the state of Texas. Will they do it? They have the pieces to keep things stable. But the wildcards for Kansas State in the Brown brothers will determine whether they will be bowl bound this year or start whispering again for another Bill Snyder 2.0 retirement. Let’s hope they make a bowl and let’s hope there’s no salutes either.